To report a bug using the in-game report interface you need to click on the report button on the chat interface. This will allow you to choose whether you want to report a player or a bug. Click on 'report a bug' to open the bug report interface. The first thing you need to do is choose a category and subcategory that best describes your bug. The drop down boxes give a list of the categories, just choose the most appropriate category from these lists. This new feature will be added to the main game at the end of the month. 1. Who can access the beta worlds? The initial closed beta - where participants can test out the new HTML5 engine - starts on . The beta will be available to all Gold & Silver Premium Members and anyone who registered interest in the beta that has a confirmation email from us. Note that the alpha and the beta are separate tests and, with the exception of Gold & Silver Premium Members, you will get access to either one or the other. New participants will be added as time goes on so keep an eye out for a confirmation email. 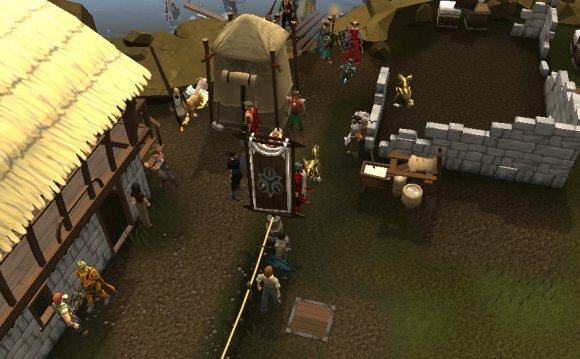 Members who were not successful in being chosen for the beta will have a chance to preview the new features before the launch of RuneScape 3. 2. How do beta servers work? The beta will be run on live servers in the current game. Due to this, any levels and XP gained during the beta will be on your RuneScape 2 character. 3. I have access to the beta, what are the requirements to play it? Download and install the latest drivers for your graphics card from the manufacturer's website. In order to play the beta we would suggest having an Intel i series CPU and at least an NVidia 200 series graphics card (or the AMD equivalent). 4. Okay, I'm in and playing the beta - now what?